• Green chillies (finely chopped) - 3 numbers. • Ginger (chopped) - 1 tea spoon. • Coconut pieces (finely chopped) - 1 tablespoon. • Yoghurt(curd) - 1 cup. • Rice flour - 1/4 cup. • Maida/all purpose flour - 1 cup. • Cooking soda - 1/2 tea spoon. Mix curd and water. Keep it aside. Take a bowl, add maida, rice flour, salt, soda mix well then add buttermilk, make it into a vada batter consistency. Now add cumin seeds, coconut pieces finely chopped, green chilies chopped, finely chopped ginger, mix well keep aside for 1 hour. Heat oil to fry, make into small round bondas and put into the oil, cook on a very slow flame. Remove once it is golden brown color. Serve it with coconut chutney. Mysore Bonda is one of the most popular snacks originating from Mysore, Karnataka. It is also popular in Andhra Pradesh served as breakfast with nice spicy coconut chutney and tiffin-center sambar. We have a language problem pls telugu? It's looking yummy I will try this Thank you ? IT'S CALLED MANGALORE BAJJI NOT MYSORE ..YOU CHEAP!!? 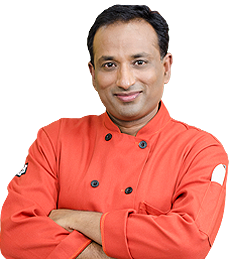 Wowww.. Mysore is my home...I am from Mysore..and you are the best chef.I like you soooooo muchhh.? Actually this is called Mangalore bajji..its from Mangalore. But its OK what ever my favorite chef does is all fine.? Instead of buttermilk can I add water? Hi chief nice receipe can I add water because I don't like butter milk. ?